Slam Junk! 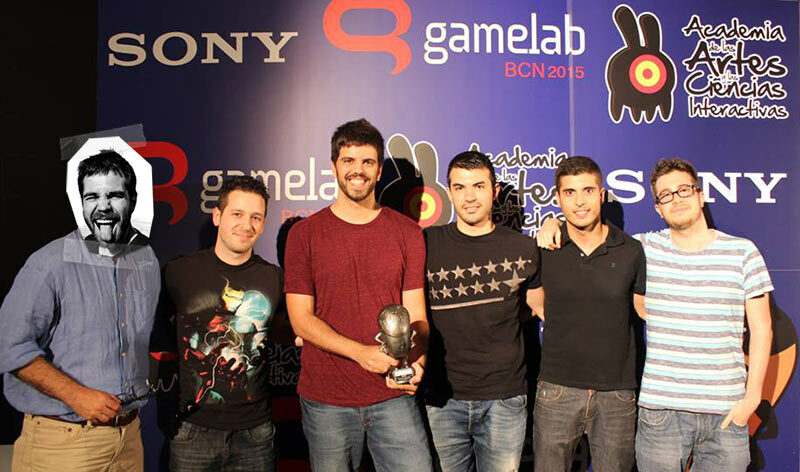 won the Best Student Project at Gamelab Awards 2015! Many thanks to everyone! To celebrate it, we have now a funny awards section. Good news everyone! We've been selected as a finalist project in the 3HM awards from UPC and SocialPoint. The final ceremony will be on the 29th of May, where we will know the final results. Many thanks to anyone who voted for us. Here's the list of the finalists. We would also like to share that this weekend some of us will be at the Salón del Comic in Barcelona showing the projects developed during last year masters program at UPF. We wait you there! Finally, regarding IndiesCrashE3 we must say that we are in the position 21, and that the first 10 have possibilities of going to the show! Just a little last effort! Completed voting in the 3HMA and Slam Junk! on Indies Crash E3 contest. Many thanks for your votes at the 3HM awards, in a few days we will know if we are in the final round! 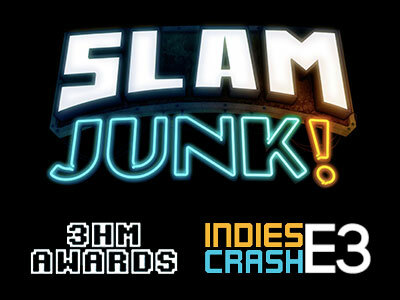 A part from that, guys from indiecrash have created a funny game to get votes for slam junk visiting the E3! If you are a little bored try it out! You just need to visit indiescrashe3.com, click on the link and open your email to get started! As you may know, we are participating in the Three Headed Monkey Awards and, to help our game getting better recognition and more votes, Geekyjuegos.com is releasing new posts about the candidates. Today it's our turn, and we on the cover, you can check the article at Geekyjuegos.com. Moreover, we remind you that the voting process is open until the 8th of April on 3HMA site. Check it out if you haven't! In addition, we have also surpassed the 5k plays in Gamejolt, and we still have a very good grade from all the reviews (4.7/5)! Many thanks to anyone for trying our project and we will be glad to discover that you voted for us in the contest. Ho ho ho! We are back from our holiday season and we have many interesting announcements for you! - First of all, Slam Junk! is now available at Desura platform and we appear in the main homepage! With this, we are now present in three of the most important websites for the indie community: IndieDB, Desura and Game Jolt. 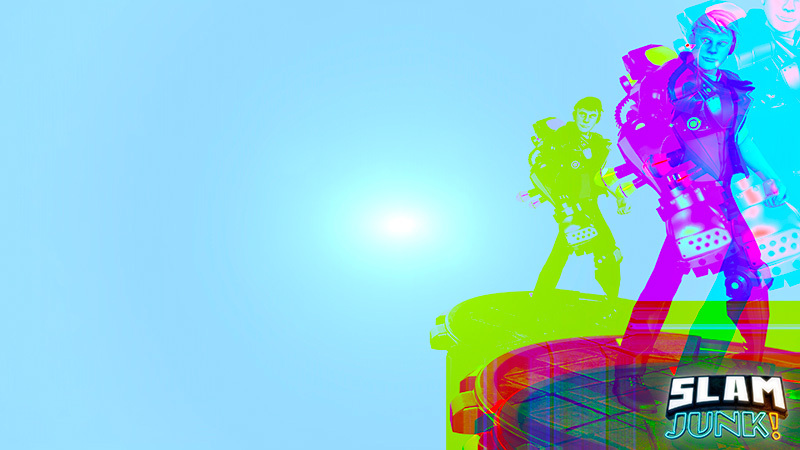 - We have achieved over 1k Plays and 5k visits on Game Jolt while keeping a very high rating 4.9/5! We want to thank anyone who made that possible and we will update of website soon with all the new videos from youtube players from all over the world. - Slam Junk! is most probably going to participate in 2 different contests for indie developers, the 3 HM Awards and Indie Prize. We hope you give us your support to keep this project on the top list! - In order to celebrate all those accomplishments, we have prepared a special wallpaper for you! We made into the final round for the best indie game of the year (platformer section) so please don't forget to vote for us (click on the image) if you enjoyed the game! From this last round the top 10 games will be elected (a.k.a games with juicy prizes!). And to celebrate it, we have uploaded a new version of the game (v4) fixing several bugs and a new walkthrough video, so now there is no excuse to not finish the game! Wow! We have entered the top 50 list at Indie DB and surpassed the 1000 visits! 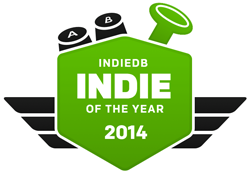 And do not forget to vote for us for Indie Of The Year!